Len was serving up some great cheeses at Wine World for the Third Thursday tasting. There was DaneKo Fontina, a Danish cheese I’ve never tried and just loved. It has kind of a sour-dough bread taste. 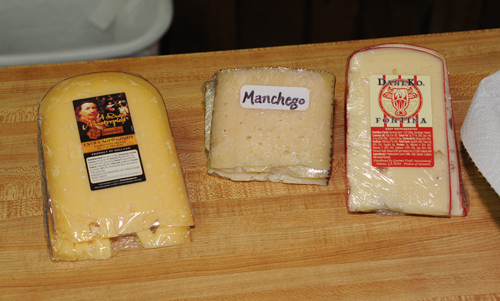 The Rembrandt Aged Gouda was wonderful and the Manchego was fantastic. I usually prefer red wine with cheeses but the Fontina was wonderful with the white wines tonight especially the Peirano Estate Viognier. Chris Tyler on Trick or Cheese!